When Robert started at­tending children’s church I posted enlarged song charts, used bigger story props and made picture memory verse cards. Robert had an eye disease that would eventually take his sight so I wanted to accommodate his visual disability. But a strange thing hap­pened. Some of my less-attentive students became engrossed in the Bible lesson. They asked questions and participated in activities. These children were not visually impaired. They were visual learners. Visual learners are constantly mak­ing movies in their minds. If they are not visualizing they are not thinking. Check to see if your classroom needs an extreme makeover! Ceilings can become vast won­derlands for visual learners. To create a starry sky for Abraham’s walk with God, attach glow-in-the-dark stars to the ceiling. Help children cut out and hang dark clouds for Noah’s flood and contrast them with a yellow sun for the animals’ return to dry ground. For a dramatic makeover, suspend black trash bags from the ceiling using fishing line to lower the space for the inside of Jonah’s fish or Elijah’s cave. Since visual learners tend to be random thinkers use time lines as wall borders to help them follow the sequence of a Bible story. 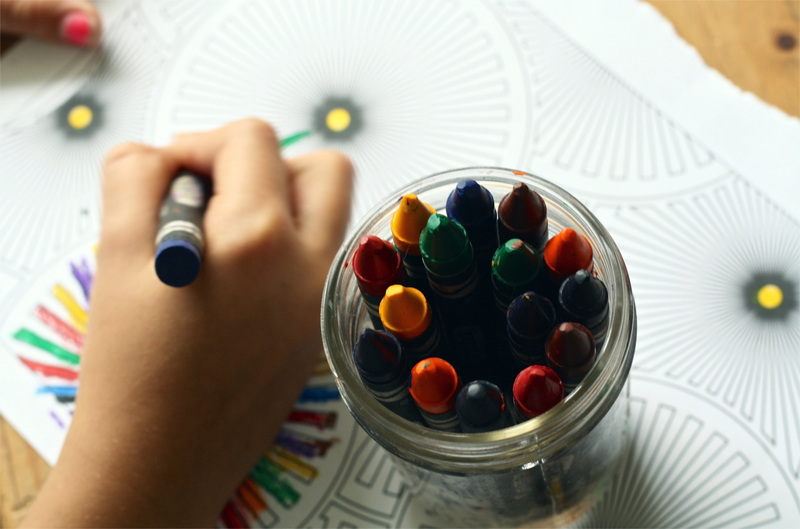 Make time lines from children’s artwork or pages from a Bible coloring book. Door frames hung with beads, rib­bons, knotted cord or strips of cloth can welcome students into castles, jungles or other countries. Rearranging the furniture gets quick attention. I sew different colored chair back covers that slide on easily to denote teams. Tables and chairs can represent story props or characters (a throne, tree, boat, etc.). Is the space free from clutter? Clutter can over stimulate visual learners. Are materials well organized? Craft time can seem disorganized to these keen observers. As you tell how to do a craft, auditory learners are with you but visual learners get lost. Provide a poster picturing easy steps or use a white board. Color-coded activities also work well. Keeping charts, maps and posters at the right height reduces frustration, especially if students are copying words. You are the most visually compel­ling attraction in the room. Your body language speaks loudly to visual learners. These are the children who ask, “Are you okay?” when you have a headache. They read your displeasure or affection with a glance. They respond well to a good behav­ior chart because you can point to the rule to redirect their actions. They also relate to you when you speak their lan­guage. I heard about a teacher who came to class wearing his clothes inside out. He wanted to make the point that the Beatitudes teach us a different way to live. That teacher caught the value of an “extreme makeover” and the heart of a visual learner.